‘Nothing as drastic an innovation as abstract art could have come into existence save as a consequence of a most profound, relentless, unquenchable need. 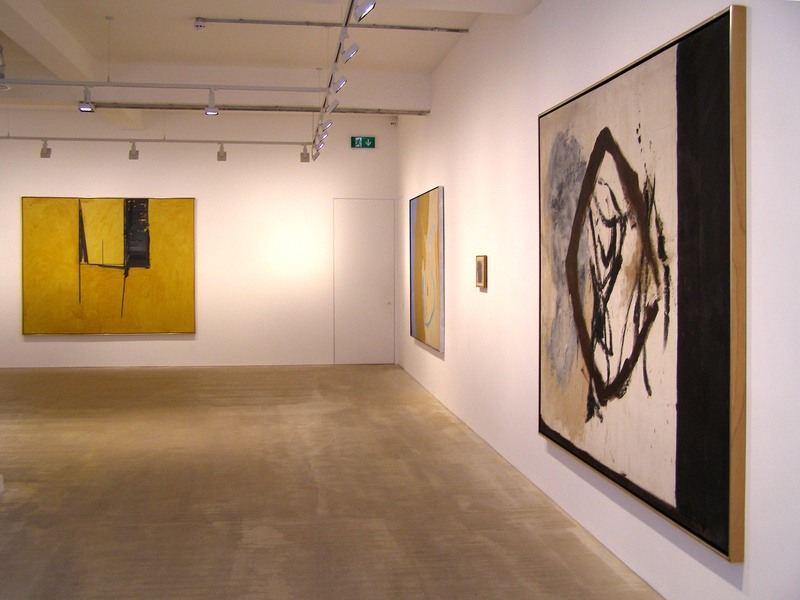 The need is for felt experience – intense, immediate, direct, subtle, unified, warm, vivid, rhythmic.’ Robert Motherwell, ‘What Abstract Art Means to Me’. After the cramped hang and the waves of people flooding the RA show, this exhibition is an oasis. 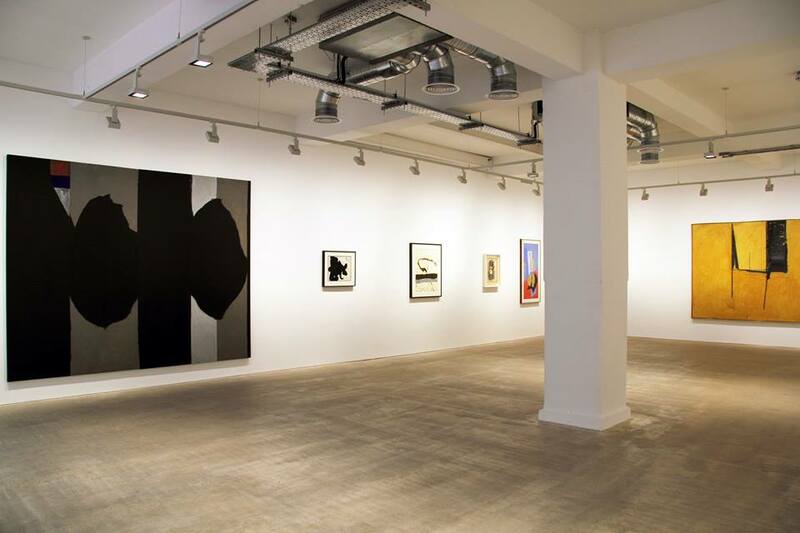 It includes a taste of all the facets of Motherwell’s work, from the earliest collage Pierrot’s Hat, 1943 and drawing Untitled 1944, it encompasses large canvasses and small works on paper up to his last collage Blue Guitar, 1991; it is a spacious hang in quiet place, filled with vibrant power. Motherwell was the youngest of the so-called Abstract Expressionists and in some ways the outsider; and indeed still is – he was not honoured with a room of his own at the current RA survey, his name doesn’t appear on the publicity, and ‘Plato’s Cave’ was squashed into a corner, an error not mitigated by the fact that the massive ‘Elegy For The Spanish Republic No 126’ was given a whole wall.